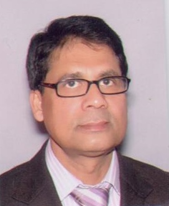 Mr. Arifur Rahman is the Chairman of CAPM Advisory Ltd. He started his career as a Tea Planter and worked with James Finlay PLC as an Asst. manager during October 1994 -July 1998 but now, he is an established businessman. He completed his Bachelor in Arts (BA) from University of Dhaka and Master in Business Administration (MBA) from Northern University, Bangladesh. He is a successful entrepreneur of diverse range of business ventures. He is the Managing Director of Green Planet Resort Limited, a five star tourist resort located in Srimongal, Sylhet at an area of 450 Bigha land. He is the Chairman of Badar Spinning Mills Limited, a 100% export oriented knitting factory, the Chairman of M.M. Spinning Mills Limited, manufacturing threads for local markets and the Chairman of Blue Planet Communications Limited, involved in the business of IT sector. Blue Planet Sweater Ltd and Blue Planet Knitwear Ltd are another two companies where he is acting as the Chairman. He is also the Managing Director of the Sky Capital Airlines Ltd.
Mr. Fokhrul Mohammed Islam is the director of CAPM Advisory Ltd. He is a British-Bangladeshi Businessman. He is a well known and reputed businessman in British-Bangladeshi Community of UK. He completed his Masters in Psychology from University of Dhaka. Mr. Islam is involved in various investment activities. He is the Managing director of Golden Bridge Investment Ltd. (GBI) & UK NRB Ltd. GBI is the majority owner of an Asset Management Company in Bangladesh. He is also the current Finance Director of Kushiara Services Limited. 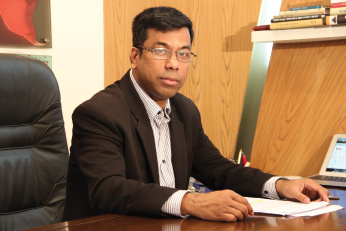 He is also the Director of Fahad International, an Export and Import Company in Dhaka. Mr. Islam is the member of British Bangladesh Chamber and Bangladesh Caterers Association.